I love everything about coconut. The oh-so-good smell of the skin care products, the fruit (or is it a nut or a vegetable, hmm good topic to google about once I finish this post), the water, coconut milk, coconut yoghurt etc. So how could I miss coconut oil? I love that too. Aaj ka jaam (I mean article, uff weekends I tell you…) naariyal ke naam! 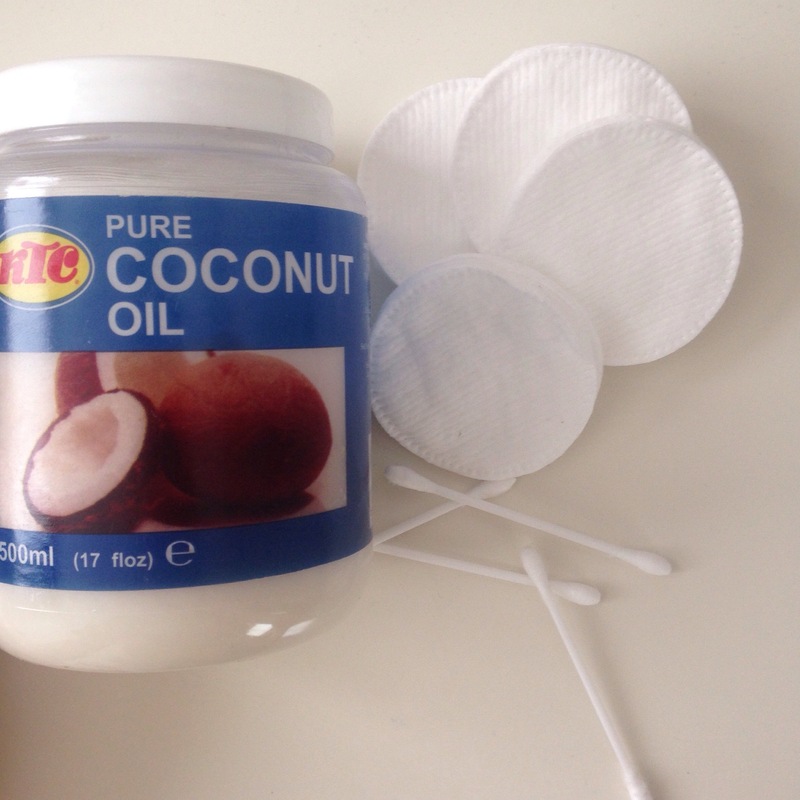 The uses of pure coconut oil are many. It’s a part of my daily skin care routine and is irreplacable. Wanna know how I use it? Keep reading. 1. Like I told you before, (pure coconut oil is a part of my daily skincare routine. I use it as an eye-makeup remover. Take a tiny bit, slowly massage it on the eye-lids and all of your waterproof makeup will be gone. After that use micellar water as a tonic to remove the oil, as it’s oil after all and you don’t want your skin to feel greasy. Ready for 9 more ways to use coconut oil? 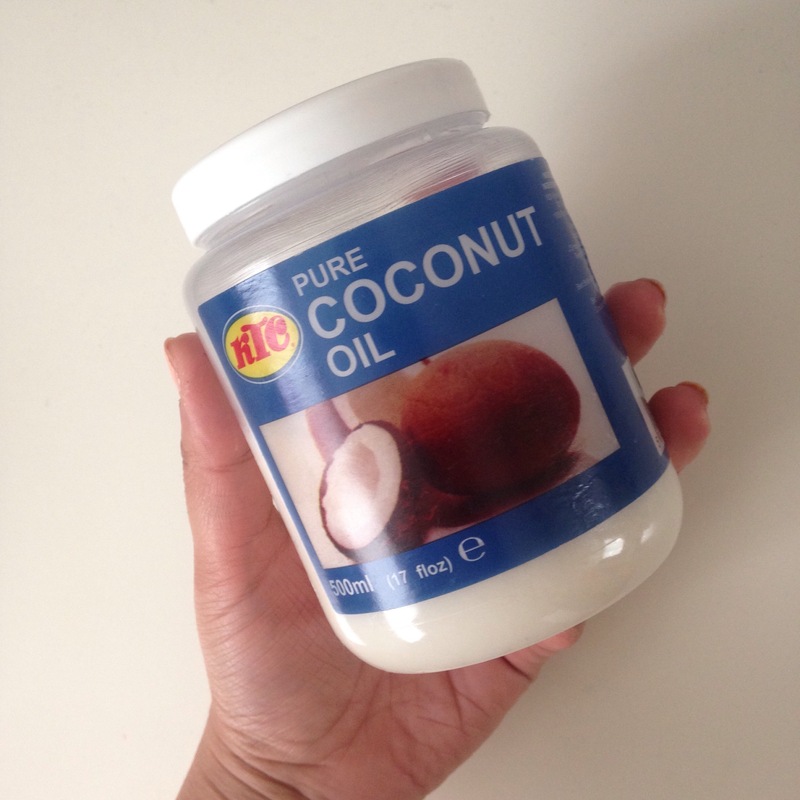 So as you may know, coconut oil is solid when at room temperature, but melts easily when heated. You can melt the oil by holding the jar under warm water. Before shampooing, apply a generous amount of coconut oil to your hair (either damp or dry) and let it sit overnight or 1-2 hours. In the meantime, you could do some chores or arrange a pamper session for yourself. After that, follow your usual shampoo routine. Using your finger, massage a small amount of oil onto each of your cuticles and let it sink in. The oil will strengthen your nails and make your cuticles softer so it’s easier to push them back during your manicure. And it hydrates perfectly. 4. Your own body scrub! Mix half a cup of sea salt/sugar with an equal amount of coconut oil and massage over any rough patches on your skin. The oil in the scrub moisturizes and leaves the skin soft, while the sugar/salt ensures your dead cells get off your skin within no time! The under eye area has very thin skin. To prevent and reduce wrinkles, massage a bit of oil under your eyes and let it your skin absorb it before sleeping. Bet you’ve never had a better eye cream before! Even though chapped lips are more common in winter, some people have it all year round. Coconut oil is perfect for chapped lips. It makes your lips very soft and gives a shiny, glossy effect too. I’m personally all in for highlighters. You could spend a fortune on highlighters, but if you’re a beginner or don’t want to spend much on highlighters, just put a tiny bit of oil on your fingers and dab it on the high points of your face and where you want it to glow. Bridge of your nose, cheekbones and/or your Cupid’s bow. Did you know coconut oil has recently been dubbed as the “world’s healthiest oil”? It’s reported to dissolve kidney stones, lower cholesterol, reduce inflammation, boost immune function, promote weight loss, protect against certain cancers. Ran out of shaving cream but you really NEED smooth legs for that party or lunch date? Don’t worry, you could use coconut oil as a substitute for shaving cream. Warning: your skin will be very slippery so be cautious while shaving. And after you’ve shaved, you might get a razor burn. I experienced it many times and I make sure to sooth my legs with coconut oil after I’ve shaved.